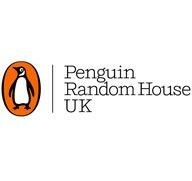 The winner will receive a £20,000 advance and publishing contract with PRH imprint Century and the services of literary agent Luigi Bonomi. Entrants are invited to submit the first 5,000 words of their novel, along with a 600-word synopsis. Submissions can be of any adult genre except for saga, science fiction and fantasy. Entrants must not have had a novel published before. The competition will be judged by a panel of experts: author and TV presenter Fern Britton; Bonomi, managing director of LBA Literary Agents; crime writer Simon Kernick; the Daily Mail's literary editor Sandra Parsons; and Selina Walker, publisher for Century & Arrow. Jonathan De Montfort knew he wanted to be a novelist at the age of 15, but went into banking after his parents encouraged him to pursue a more stable career. It was when he took a break from his job as a hedge fund manager and finally sat down to write his book that he saw a gap in the publishing market. The banker’s new publishing house, De Montfort Literature, offers new writers £24,000 a year to join its ranks while they write, develop and produce their novel. 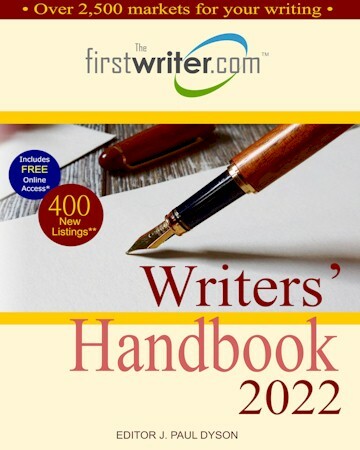 The aim of the company is to “make being a novelist a valid career choice for aspiring writers”, while also creating more best-selling writers, it states. Writers are all too familiar with dry spells, creative roadblocks, and blank-page totalitarianism. The analogies are plentiful, and for good reason. But once victory is claimed -- finished manuscript raised triumphantly in the air -- what next? In part, this is exactly the question that Writers & Books and its Executive Director Kyle Semmel want to answer with the new literary conference called The Ladder. The June 16 conference at Rochester Riverfront Hotel will be a marathon: a day-long boot camp featuring the expertise of more than 40 literature industry professionals -- published writers, editors, agents, and assorted panelists among them -- and 12 different workshops, all designed to help writers up their game. Accepts electronic submissions of complete manuscripts only (except in the case of cookbooks, which may be submitted as complete mss or proposals). Not currently accepting poetry submissions. See website for full details. Send between three and eight previously unpublished poems in the body of an email with a brief bio, between May 1 and August 1 annually. Focused on discovering, developing and launching the careers of writers of colour, disability, working class, LGBTQ+ and anyone who feels their story is not being told in the mainstream. Writers must be born or resident in Britain. No poetry, plays, or screenplays. See website for full guidelines and to submit via online form. Every May, I get a flurry in my stomach as summer swings into view. I'm going to write a novel this summer, I think to myself. I'm going to actually do it. After all, I have three whole months ahead of me! That's so much time. Without fail, every year of college, I would turn in my last final, head to the coffee shop around the corner, and fire up Microsoft Word. I reasoned with myself that if I just put the time and effort I used on homework during the school year, I would have an amazing novel finished in no time. No sweat. For a blissful evening, I'd sip on a hibiscus iced tea and pound at the keys in pure bliss:Yes, I'm doing it! Book deal, here I come! Better start thinking about the movie rights! Summer is officially here, and it's the perfect time to start writing a novel. There's no school and plenty of sunshine — which means it's the perfect season to focus on a new project. What could be more thrilling than buckling down and writing that book you've always been dreaming about? During most of the year, I fantasize about having the time and space to work on my own writing projects. Even if you're not in school, there's something about summer that just makes everything seem more possible. I don't know if it's the same for you, but I always get a burst of energy when the weather gets hot and the days get long. At the beginning of the summer, it feels like anything and everything is possible. The Internet can be a terrible place, and Reddit gets a bad reputation for housing some of the 'Net's most repugnant denizens, but places like r/writingare safe havens for hobbyists and creatives looking for communities based around their crafts. Seriously, if you're a writer who has no writing friends, hop on Reddit and get you some. Building a strong support network is one of the best things you can do to make sure you achieve your goals, especially if you enjoy writing challenges like NaNoWriMo and StoryADay.